Wow- this is one of the cleanest cars on the lot! 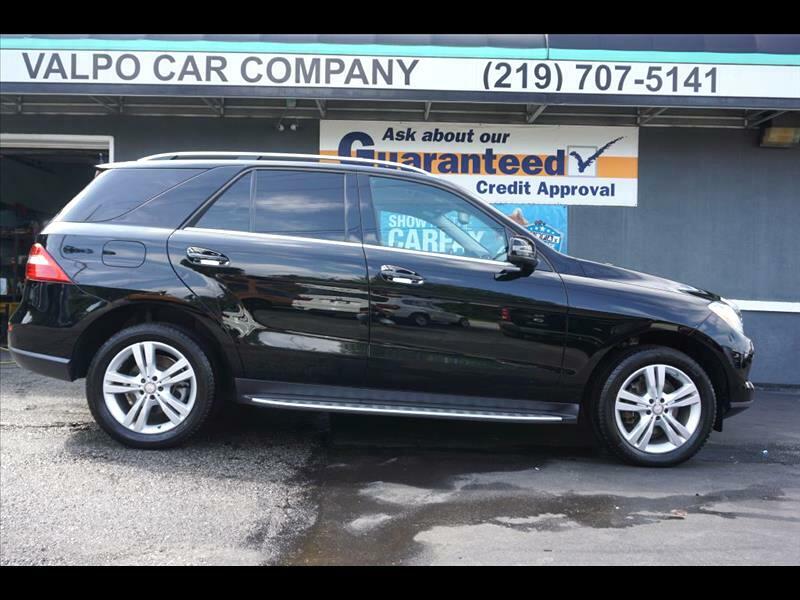 Beautiful in every way, our 2013 Mercedes Benz ML350 4Matic is in wonderful shape! One of the cleanest and best driving cars on the lot- no question! Power locks, power windows, moon roof, premium sound, navigation, backup camera, Bluetooth, beautiful black exterior, immaculate heated leather interior, CarFax Certified 2-Owner ZERO Accident history, and more! LOW MILES, too! Our REDUCED internet sale price is just $20,450 here at Valpo Car Co! Call 219-707-5141 Thanks for looking!